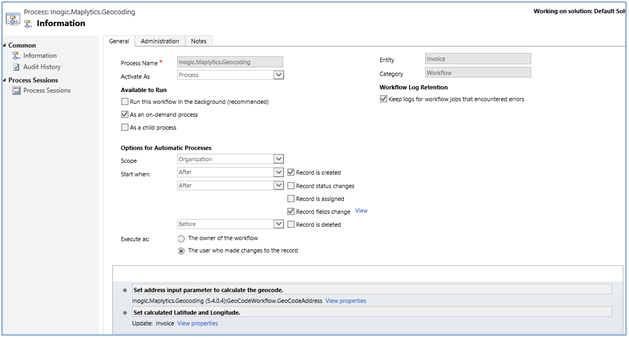 In the previous article, we saw how you can configure Maplytics Default values in your MS Dynamics CRM. In this article, we will cover geocoding Dynamics CRM data with Bing Maps. Geocoding refers to getting the latitude and longitude i.e the geographic coordinates of your address. Geo-coordinates help in plotting the addresses accurately on the map. Maplytics offers a seamless integration between Bing Maps and MS Dynamics CRM. It ships with Geocoding workflow to geocode addresses for plotting the MS Dynamics CRM data on a map. We ship this workflow configured for Account, Lead and Contact entities. The workflows are configured to execute automatically on creation of records as well as any time any of the address fields are modified. By referring the sample workflows that are shipped along with the product you can design the Geocoding workflow for other entities including custom and OOB entities. In Start when: Choose Record is created and Record fields change options. For the Record, fields change the option to make sure to select all of the address fields to ensure the address is geocoded when any of the address fields is changed. 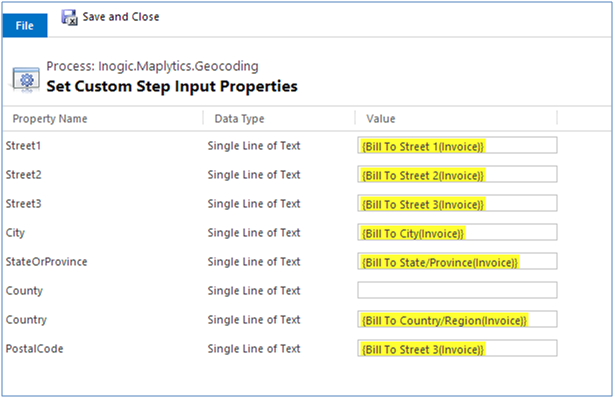 Select the Inogic.Maplytics.Geocoding workflow assembly from the Add step menu. Set the address parameter as shown in the below screenshot for the workflow assembly. In the next step choose Update Entity. Select the same entity as the one for which the workflow is being configured. In Update window set the Latitude and Longitude of the output parameters returned by the workflow assembly as shown in the below screenshot. Note: This process has the limitation of geocoding only 250 records of Dynamics CRM at a time. If you want to geocode your Dynamics CRM records in bulk, you can use Batch Geocoding tool, which is shipped along with Maplytics. Unable to set latitude-longitude? Need help? 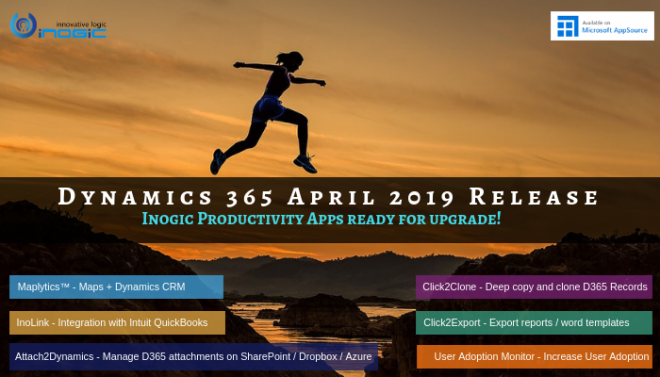 Contact us on crm@inogic.com.